Are you busy running a successful restaurant and cannot find time to update your menu? 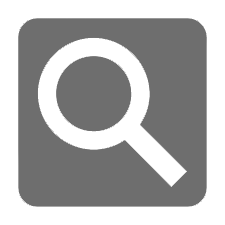 Is your restaurant menu out of date on your website? Does your website not have a menu? Do you have trouble remembering how to get into your website to update your menu? The list goes on for reasons why your customers may find your websites menu out of date if not maintained. If you have an existing website, embedding Menyu's platform into your websites page directly can be done really easy. This way every time you update your menu on our site it will automatically update all your menus without you ever touching your website. If you have an existing color scheme or font that you would like to match your site all that can be done as well. If you feel this could be the right solution for you, we have no problem doing the integration into your site for free. The monthly fee for the service is $9.99 so for as little as $.32 cents a day you can save yourself hours of frustration trying to update one or multiple sites. If your still on the edge about using it and would like to try it out ask us about our 30 day free trial. Once you start using Menyu, keeping your customers up to date will never be easier. 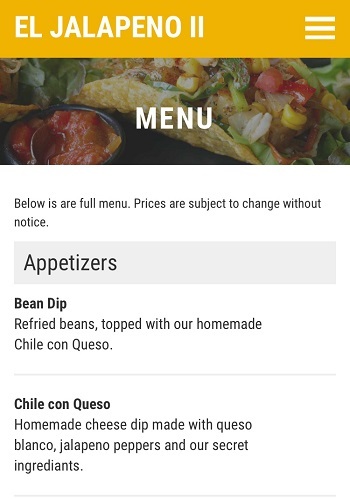 Here is an example of how an integrated menu would look on a customer's phone. 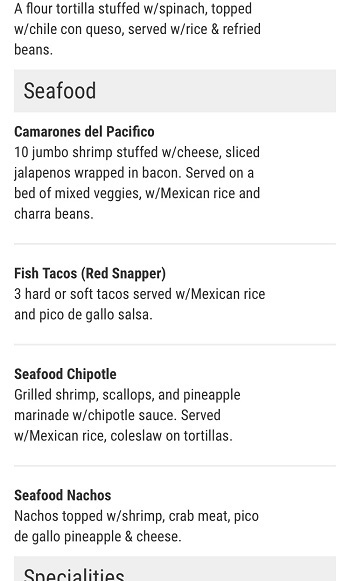 Here is an example of what the menu will look like on our website on a customer's phone.